NEW DELHI: PokerBaazi.com, one of India’s pioneer online poker platforms has signed Vijender Singh as its new brand ambassador. Prior to roping in Indian professional boxer, Indian film star, actor, and model, Sunny Leone was the face of the brand. 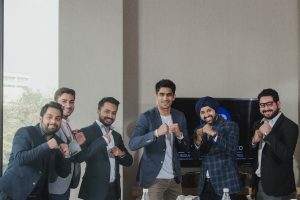 By roping in boxing champion Vijender Singh as its brand ambassador, PokerBaazi has shown its commitment towards promoting poker in India as a serious game of pure skill and talent. PokerBaazi.com was founded in October 2014 by Navkiran Singh, an engineer turned entrepreneur. The platform allows poker enthusiasts to enjoy a thrilling game with real money, from the very comforts of their homes. Players can join in for a freeroll – the free for all tournaments, or start from lower blinds of Rs. 1 or 2, taking it up to INR 500 or 1000.